In college, Gus Lepagi had the misfortune of sharing a dorm with Hyde Baysch, a popular football jock and social butterfly. 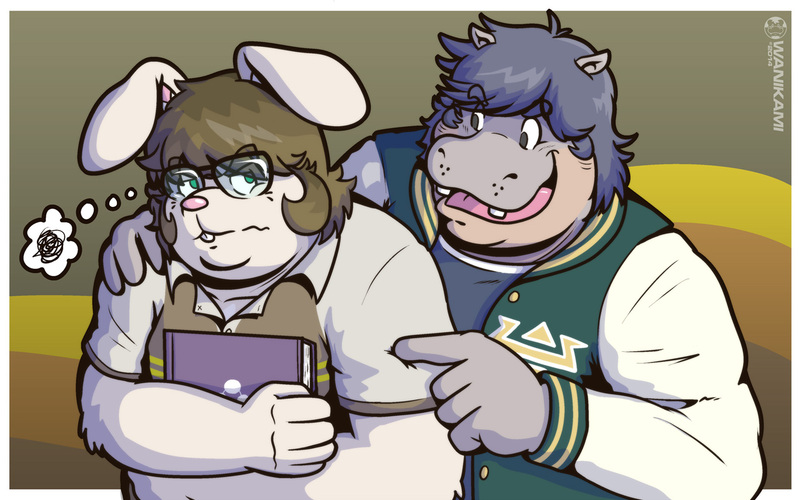 Being a shy bookworm, Gus didn't care much for Hyde's spunky personality and though of Hyde as slightly annoying, though the hippo had never really been mean to him. Hyde had the tendency of bringing girls to the dorm, forcing Gus out so they could "get to know each other more." In these cases, Gus would sleep over at his girlfriend's room for the night. Who would'a thought that they didn't like eachother at first!